When applying for a traditional business loan at a bank or credit union there are many reasons you could potentially be denied. One of the most common reasons for being denied a loan is your business credit profile. Even businesses with strong growth and profit margins can be denied a loan if the lender isn’t comfortable with the business’s credit score. When business owners are turned down for loans based on their credit, they have a few options. While some are tempted to use their personal assets like home equity and retirement funds to keep their businesses going, it isn’t always your best bet. Before you risk losing such important things, consider some of these business financing options that don’t require flawless credit. What Are Small Business Loans for Bad Credit? Business loans come with all sorts of terms, requirements, and repayment periods. Because of which, many of these funding options do not place as high of an importance on credit score as others. We pulled together some of the best funding options for businesses with bad credit to help you find a funding option that best suits your needs. If your business typically has a high volume of credit/debit card transactions, you may be a good candidate for a merchant cash advance. With a merchant cash advance, you sell a portion of your future credit/debit card sales to a third party in exchange for money you can use right away. The third party then collects a percentage of your daily credit card sales until the total amount of the advance is repaid with interest. Since merchant cash advances are viewed as being a transaction rather than a loan, they can be an option even for businesses that don’t have the best credit scores. Do you have a business that typically deals with long billing cycles? 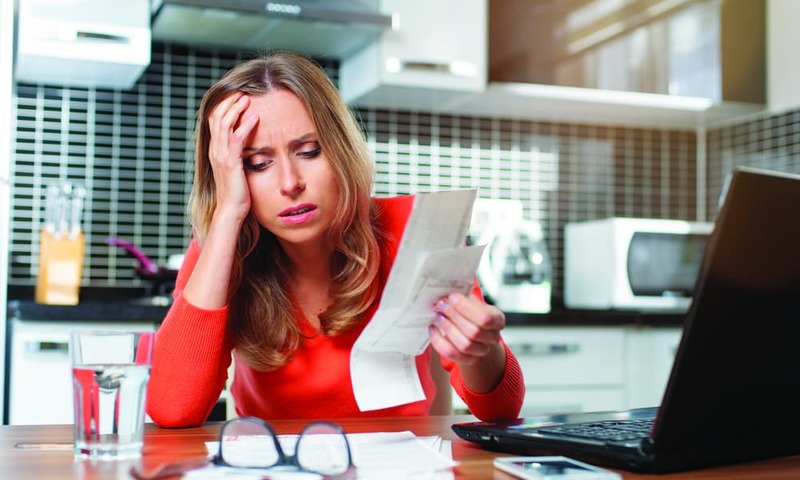 Many businesses that need to wait 30, 60, or 90 days for customers to pay their bills end up encountering temporary cash flow shortages while they wait. If this is a situation you find yourself in, invoice factoring is something you could consider. With invoice factoring, some or all of your outstanding invoices can be sold at a discount to a third party known as a factor, who then collects from your customers. Since this arrangement hinges on your customers’ ability to pay their bills, your business’s credit score is less of a factor. Invoice financing is similar to invoice factoring, but it isn’t exactly the same thing. While invoice factoring involves selling your unpaid invoices to a factor, invoice financing is simply a loan based on the amount of your unpaid invoices. Your customers continue to pay you as they normally would. All businesses need equipment to be able to operate. Equipment loans are a great way for businesses to get the equipment they need without being hit with a large upfront cost. Since these loans can be secured by the equipment itself, lenders are able to be more flexible about their requirements, including the borrower’s credit score. Sometimes, a business only needs a small amount of money. While many types of business loans are intended for established businesses with strong credit scores, microloans are an option for startups, young businesses, and businesses that have never borrowed from a bank before. Since microloans are for such small amounts of money, they are a type of short-term loan. Instead of dealing with banks or credit unions to get the funding they need, some business owners choose to pursue equity financing instead. Equity financing is when you find investors for your business, who then become part owners in your business. Investors are going to be more interested in your business plan and your long-term goals rather than your credit score. Many types of loans that are the most accessible to businesses with bad credit scores are short-term loans. Since these types of loans have shorter terms than traditional business loans, they have higher interest rates and are for smaller amounts of money. Although the funds you receive from a short-term loan can generally be used for many different purposes, the fact that they are short-term loans means they’re best suited for handling temporary cash-flow interruptions and short-term expansion projects, not making major investments. Even if the types of business loans for bad credit don’t have the best terms, paying them off as scheduled can help improve your credit score, which would make it possible for you to get a larger loan with better terms later on. Equity financing and microloans are going to require more time and effort to prepare for. Anyone who may be interested in investing in your company will want to see a very detailed business plan. And although microloan lenders are typically more willing to give loans to new businesses and businesses that aren’t able to get loans through a bank, that doesn’t mean microloans are necessarily easy to get. If you’re applying for a microloan, the lender will also want to hear about your business plans, how you plan to use your loan, and how exactly it will help you become more profitable in the long run.